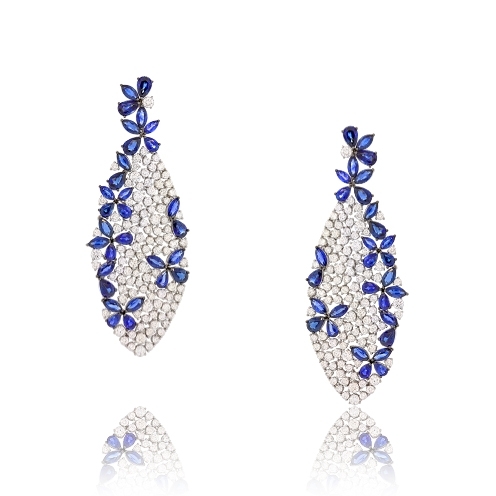 Blue sapphire flowers framing white diamonds in a teardrop shape set in 18k white gold. Diamonds approx. 9.20ct. Earrings 2.9"